I love reading books about dogs. I always have. One of my favorite childhood books included a dozen or so stories about dogs that protected their owners from bear attacks. Of course, Old Yeller and Savage Sam were two stories that really pulled me in. The climax of Old Yeller is when teenager Travis Coates is forced to destroy Old Yeller. The dog, infected with rabies after protecting Travis’ younger Arliss from a rabid wolf, is now a danger to the family. As we watch the scene of Old Yeller’s death unfold — knowing in our hearts it’s the right thing to do — we still wish for a better way. But it’s time for Travis to become a real man and overcome his personal affection for the dog and do what is right for his family. 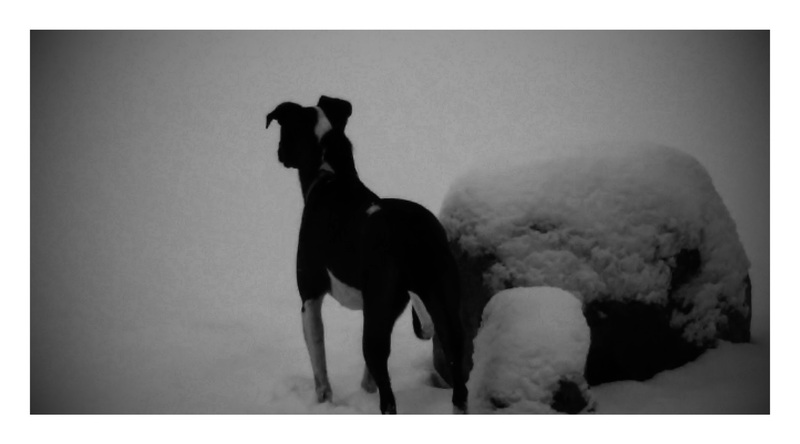 When I began writing personal essays, my first attempt at a longer read (one-hour story) was about our dog, Versa. In some ways, Versa is like Old Yeller. When we adopted her, she was not overly likeable and a little rough around the edges — she had some flaws. The day we met, she did not impress me, partly because when my daughter, Molly, tried to interact with her, Versa was too timid — cowering with her tale between her legs, and quivering as Molly tried to pet her. 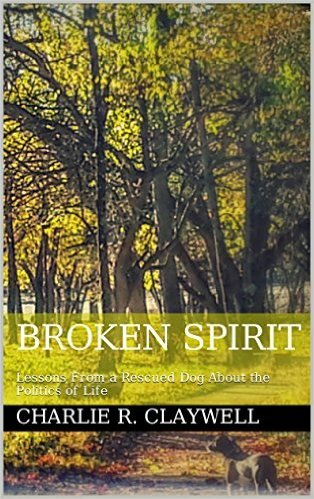 She is a pound puppy and, as I wrote in Broken Spirit: Lessons From a Rescued Dog About the Politics of Life , she exhibits the traits of fear aggression — a tendency to be afraid of everything and everyone. It is a common trait of pound dogs. And, although, its grip on Versa is lessening, the trait is still noticeable after working with her for nearly three years. Versa and I have a daily ritual. I sit on a stool in my living room, start putting on my socks with my shoes beside me on the floor. Versa knows what this means: she is going for a walk. She wags her tail; prances over to our front door then back to me to check my progress. She nudges me with her nose as if to say, hurry up — let’s go. Dogs provide a companionship that cannot be matched by any other domesticated animal. It is probably for this reason alone that so many books have been – and still are being – written about canines. We want to know how others interact with their four-legged family member. A Useful Dog by Donald McCaig is a short-read — probably an hour or so — but by reading it you develop an deep appreciation for McCaig’s Border Collie sheep dogs. These dogs are energetic, bright and loyal, but as the author points out they can be difficult to train, control and work. The book also includes snippets about the various jobs performed by other dogs, including sniffing out landmines in war-torn areas of the world. 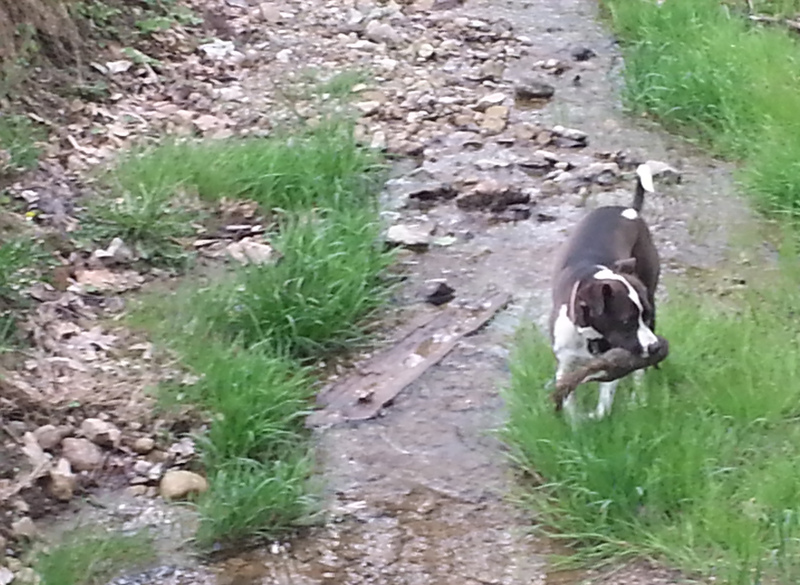 A deep bond grows between the dog and its partner in such adverse conditions, McCaig notes, but he says, this deep bond often exists in less dangerous situations. For an even deeper look at the intricate dog-human relationship, read Pack of Two: The Intricate Bond Between People and Dogs. In the book’s opening, author Carolyn Knapp readily admits one reason she adopted Lucille, an eight-week-old Shepherd mix, from the local shelter was to fill the abundance of time Knapp acquired after becoming sober for the first time in her life. (She writes about her battle with alcoholism in Drinking: A Love Story ). Knapp fearlessly jumps headlong into issues only dog owners truly appreciate. She speaks bluntly and honestly about dealing with other dogs and their owners, about condescending dog trainers with their various theories of control, and the hardest of all humans to understand – people who don’t like dogs. But one of the most intriguing passages is about the ‘canine gaze.’ If you own a dog, you’ve seen it. Often a dog’s gaze has a very definite meaning – I need to go outside, for example — but sometimes, we owners are clueless to what the dog is trying to communicate to us. In other words, I project. I project and I anthropomorphize and I make stuff up. I view her inner life through the filter of my own emotions and experiences, and the tendency to do this can make me crazy, for I can read anything into Lucille’s eyes. Anything. I can imagine that she’s mad at me, whether or not she is. I can imagine that she’s lonely or depressed, that’s she’s worried or chagrined or wistful, that I’m getting on her nerves. It’s part of the Lassie Syndrome of life – we dog owners have come to believe that all looks, gazes and actions of our beloved canine friend holds some deep — often mystical — meaning. As I write this, Versa lies calmly on her bed beside my chair. She is always nearby. Whenever I walk to another part of the house, she follows. With her, I’m never alone. And as she lies comfortably on her bed, she is a visual reminder that dogs are simple creatures. They are the embodiment of what life is meant to be — a pleasant process. Versa needs very little: Food, water, shelter and a daily walk. Once Versa’s daily walk is complete – meaning her work day is over – she is content to nap, relax, play with the cats or simply do nothing at all. She has figured out the secret to a happy life. And, maybe that’s what she’s been trying to tell me all along. When a rescued, mix-breed mongrel with an ill-fitting name (Versa) and a behavioral problem (fear aggression) chose me as her sidekick, I reluctantly agreed. But as I helped Versa overcome her fears, she taught me about the secrets to work and life. My parents — and their parents — are from the Cumberland Plateau region of Appalachia. Because of my heritage, I’ve heard a lot of phrases that applied more to their way of life than mine. For example, grandpa would say, “You don’t look a gift horse in the mouth.” Since I didn’t really deal with horses, the meaning was lost on me (until I asked what it meant). They also introduced me to words and pronunciations that did not work north of the Ohio River. I remember purging words like reckon and druthers from my vocabulary during my high school years. Pronunciations proved more difficult — except for the easy ones like wash instead of warsh — and I remember a coworker looking at me, perplexed, saying, I didn’t know there was a ‘g’ in towards (towarge). But some of the sayings, made sense then and make sense now, even if the origin no longer applies in the modern world. One is ‘strike while the iron is hot’ a reference to a blacksmith’s need to work quickly and efficiently to form metal as soon as it is hot enough to mold — otherwise the metal cools off and becomes rigid — forcing the blacksmith to repeat the process. Versa exemplified the concept one morning on our daily walk. It was just after dawn when we were walking the tree-filled park when Versa zeroed in on a squirrel. I had seen her chase plenty of them in my backyard, so was not overly interested when she hunched down in the predatory mode and locked in on her prey. Seconds later I heard the squirrel squeal and watched as Versa, holding the prey in her mouth, violently shook her head side to side killing the rodent. Then the prancing began. Versa carried her squirrel around — then would place it in the grass and watch over it — or walk away, run back retrieve the dead squirrel and parade some more before eventually hiding the carcass in the woods. She struck while the iron was hot. The opportunity presented itself and she pursued it vigorously and proudly displayed to her world what she had accomplished. It reminded me of the old proverb, “a desired accomplishment is sweet to the soul,’ — and that I had a few things of my own to finish. I enjoy writing and connecting with readers. 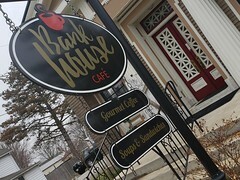 Despite my best efforts, some blog entries fall to the wayside while others flourish. Here are three of my most popular entries in case you missed them.